This painting is in the "Portraits of Influence" series. 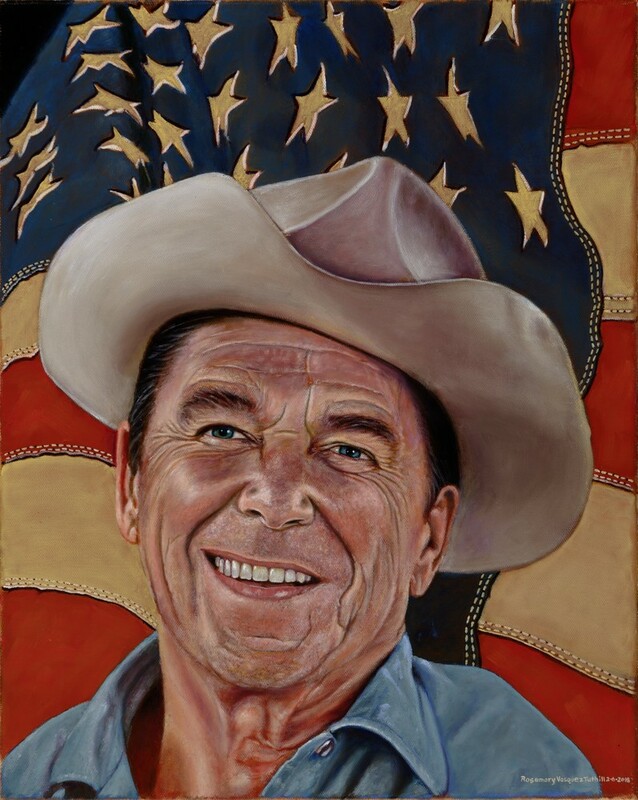 Ronald Reagan portrait based on a photo by MIchael Evans who was Ronald Reagan's photographer. Permission to use the image was given by Story Evans. This painting is in the "Portraits of Influence" series. The 20" x 16 Ronald Reagan portrait based on a photo by MIchael Evans who was Ronald Reagan's photographer. Permission to use the image was given by Story Evans. Rosemary captured the essence of President Reagan as seen through his eyes and overall aura. The background is a leather flag to emphasize the American spirit and rugged nature of the President.